Join the hundreds of cyclists in the Steaming Nostril cycling event. From the seasoned racer to the first time rider, this is the ride for you! 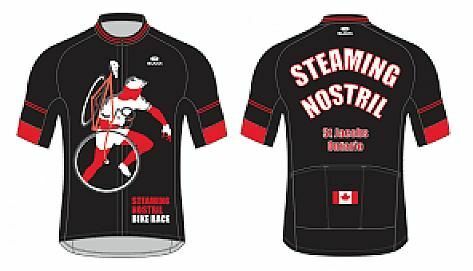 Steaming Nostril is a 65 km Cycle for All race geared towards cross, mountain bike, fixed gear and fat bikes that is OCA Sanctioned. The terrain is rolling to flat surfaces. 60% gravel roads, 20% paved roads, 10% farm laneways (private property), trails and farm property (private property) in Waterloo Region. The Runny Nose is 40km. Full police coverage at intersections, mechanical and first aid support. Event goes rain, snow, sleet or whatever the Canadian climate brings that day. Cycle Waterloo will donate $1 x every finisher of the race to the Man who grows the best, longest, most unique beard for Steaming Nostril.